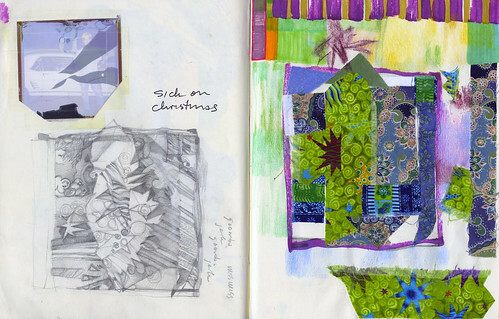 Sketchbook: Collage Sketch for Sick at Xmas. 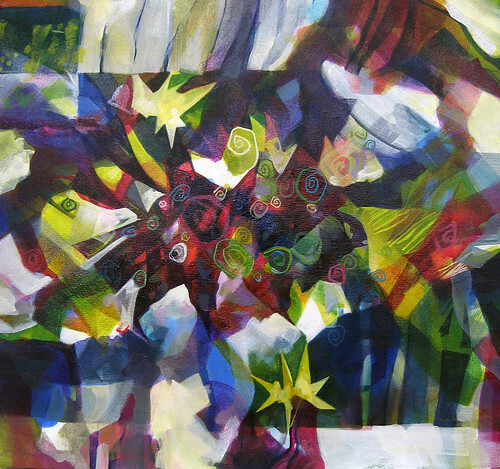 Mixed media on paper, 2011 by Sarah Atlee. Sick at Xmas. Acrylic on canvas, 16 x 17 inches, 2011 by Sarah Atlee. I tend to feel poorly during holidays and vacations. It's as though my body notices that I'm relaxing and concludes that I have time to focus on my sinuses or whatever. My mother and I think it's a family trait. Much of the preparatory work for my 2011 show Figure and Ground was done during and shortly after Christmas 2010. While I was sick. Take that, sickness! Oh, snap. 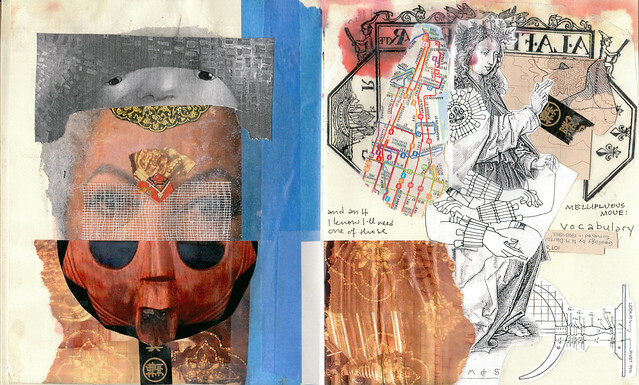 Mellifluous Moue sketch & mask collage, mixed media sketchbook pages, 2009 by Sarah Atlee. Some rights reserved. 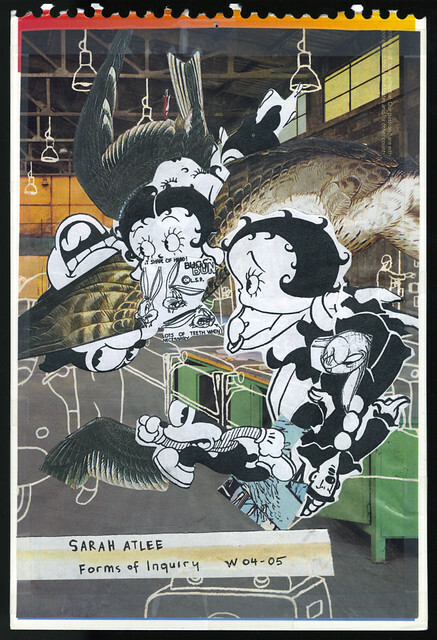 Collage sketch for Mellifluous Moue, Patron Saint of Vocabulary. Explore more sketchbook pages in the Images section of the site.